Tate St Ives is an art gallery in St Ives, Cornwall, England, exhibiting work by modern British and international artists and provides a permanent presence for the renowned 20th Century artists who lived and worked in the town. 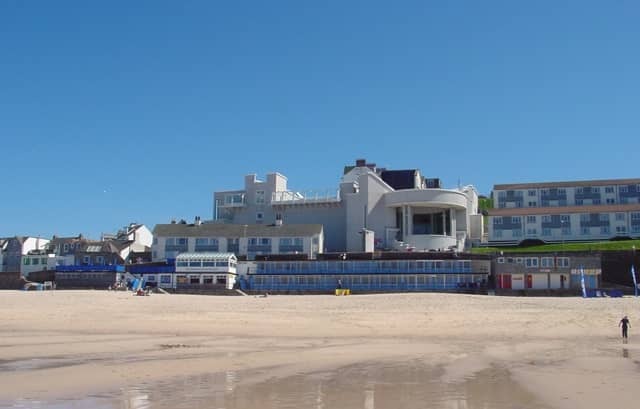 The modern three-storey gallery building overlooks Porthmeor Beach. It was opened in 1993, the second regional gallery in the Tate Gallery network, and was refurbished and substantially extended in 2017. The gallery's learning programmes support internships and activities with the wider community across Cornwall.